Serena Williams has been ranked number one in the world for tennis singles, won twenty-two Grand Slam singles titles, and won four Olympic gold medals. Her powerful serve surprises her opponents—and then her forehand and backhand swings land shots with fierce accuracy. Her speed and strategy are unmatched. Yet, it’s her ability to rally for a comeback that has put her at the top of her game and the top of the field. Serena has defeated injury, personal stresses, and criticism to climb to the top of the rankings and become one of the best tennis players of all time. 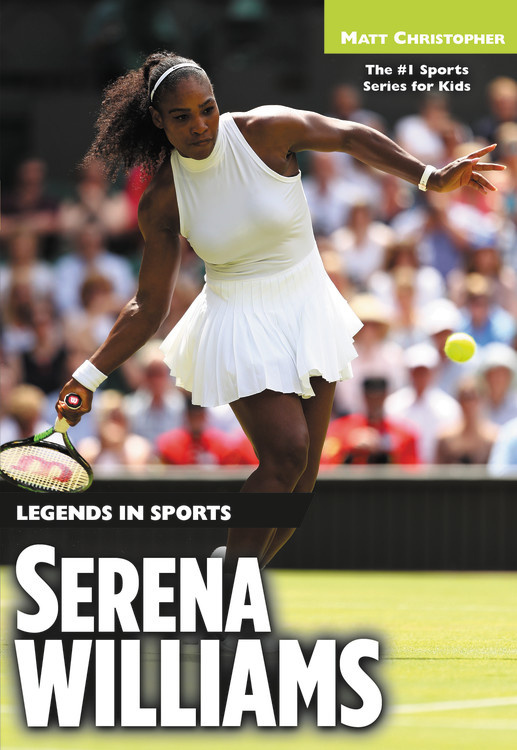 This exciting biography of Serena chronicles her career in tennis that started on the courts of Compton, California, her competition and cooperation with her sister Venus Williams, and her triumphant career highlights, as well as her personal pursuits and charitable work. Matt Christopher is the name young readers turn to when they’re looking for the best sports biographies on the shelf.